Don’t you love it when your audiences’ mouths drop open in astonishment! Isn’t it wonderful when they think you are almost “spooky”? 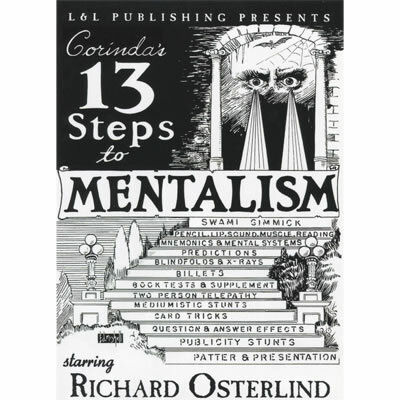 In this two-DVD set, you’ll see Richard Osterlind take mentalism one step further! Using props like crystal balls, pendulums, candles, spirit slates, and more, Richard has created a number of new effects that go just a little further! Besides being impossible looking, they are all…well…eerie! Almost everything utilizes props you probably already own or ones you can easily make yourself. Many are impromptu and you can do them anywhere. The effects run the gamut from psychokinesis to thought projection, mind reading, spirit writing, and even time travel! There isn’t a single routine that requires great skill or is beyond your ability to perform it. And, each one is designed to leave your audience breathless! Any of these effects could have been sold separately for the entire price of this set! 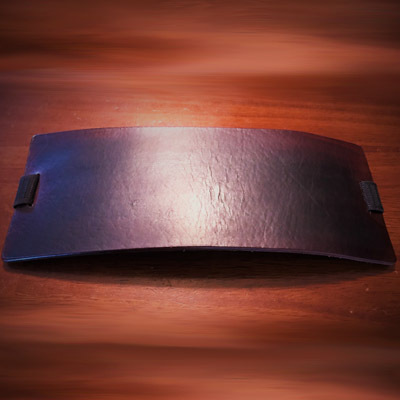 You get over 15 great routines as well as a lesson in advanced mentalism and presentation. 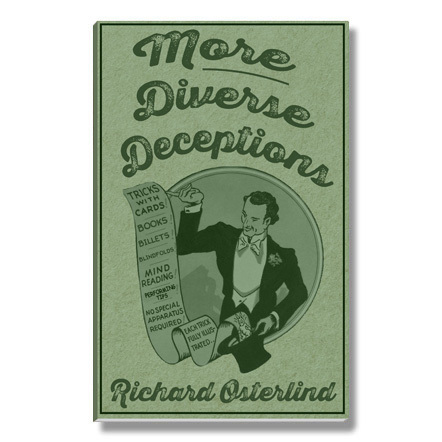 As always, Richard not only shows you how to make your performance believable, but gives many alternate ways to present these effects and hints for great stagecraft! 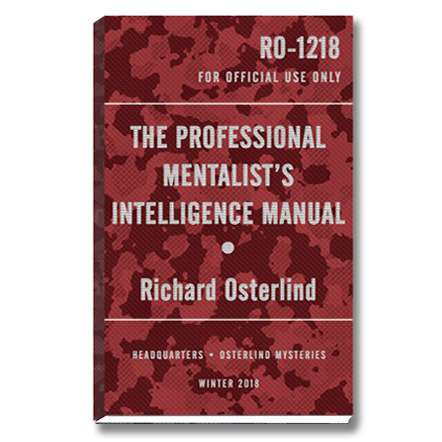 You will marvel at how Richard can turn a well-known principle around on its ear to create incredible mentalism. You will also see how he can take a theme and build on it to make a totally professional presentation. With the material on these DVDs, you could build a number of separate acts! 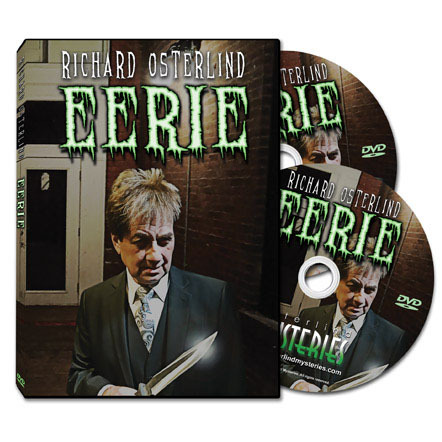 If you are ready to have people step back when you walk by for fear of your powers – you are ready for Eerie! Psychokinesis Act – A complete act featuring spoons, coins, keys, watches, and even a padlock. Everything moves, bends or breaks! This is 15-minute act that takes psychokinesis to new heights! Crystal Ball Routine – You won’t believe the look of astonishment in the lady’s eyes when she sees a “vision” in the crystal ball that even she can’t explain! An entirely new gimmick makes this possible. Spirit Slate Routine – A long forgotten classic that leaves the audience speechless. In addition to the surprise ending, Richard shows a simple-to-make device for doing a perfect Add-A-Number routine! 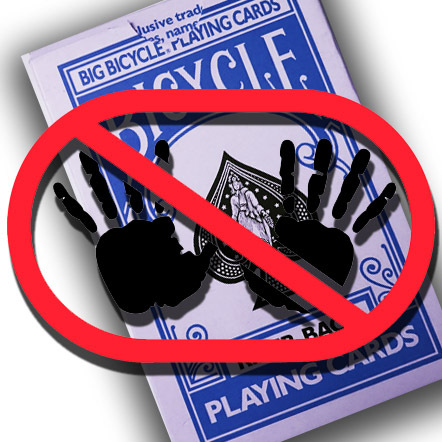 Jumbo Poker Routine – You never lose regardless of what cards a spectator chooses and how much freedom you give him! Richard’s brilliant routine based on a classic effect that can be done anytime, anywhere! Original Q & A Act – The most direct, easiest-to-do Q & A Act ever invented. Even if you have never done Q & A before, you will be able to do this one! There are no moves in this perfect routine! 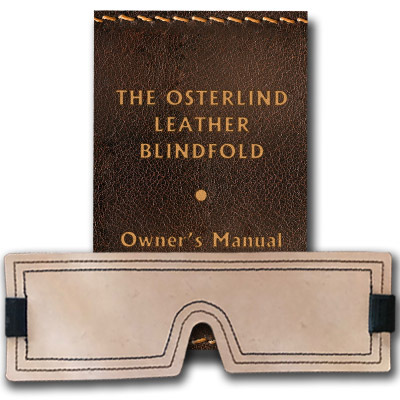 Blindfold Balloon Murder – If you wondered what the large knife on the DVD cover was for, this is the reason! It is the famous Balloon Murder routine Richard devised for use with his Stainless Steel Blindfold over 25 years ago! Phantom Knife and Hank – For the first time, see how incredible the Phantom Hank and Knife routine looks! With the new Swiss Army knife, the ending looks totally impossible! Card Projection – A super clean, straight-forward effect that is staggering! What is even more astounding is the secret which may be the best way ever to use a favorite prop! This is priceless! Pendulum Routine – A fabulous new idea to make the PATEO force even better! The spectator makes almost all the choices using a pendulum to guide her! It looks spooky and even fools magicians! ESP Expanded – The classic routine with the new ending! You will see why this slight addition to the Annemann routine now makes the effect a showstopper! Candle Living and Dead – This looks so eerie! A candle determines what name is still alive by refusing to be extinguished! Besides looking totally impossible, the performance makes this the perfect stage visual! You will love it! Classic Epic Routine – if you thought Richard’s routine on Live...Without a Net! was good, wait until you see this! Never before has this classic prop been so well used. A spectator even watches you write the last prediction! Richard also divulges his pet way to use his classic Change of Mind! Georgia Magnet / Body Suspension – For the first time, see these routines actually demonstrated! Richard becomes an immovable object resisting even three strong men! You can do this anywhere and anytime! Also performed and explained is another classic routine where a spectator is suspended between two chairs with someone standing on him! This looks totally unbelievable! Time Travel Pegasus – A perfect closer for any act! It’s an original book test that suddenly becomes a demonstration of true time travel! It leaves the audience speechless!